Melanoma occurs when the skin’s pigment-producing cells called melanocytes become malignant. Clusters of melanocytes can also produce non-cancerous growths called moles. When it first develops, melanoma may appear as a new mole, but it quickly distinguishes itself from a normal mole in shape, color, and texture. One of best ways to catch melanoma in its early stage is to watch for moles that look abnormal. Can develop on any skin surface, including areas of skin completely sheltered from the sun and under the nails. Melanoma can often be detected by using the ABCDE warning signs of early melanoma for a changing mole. An uncommon form of the cancer melanoma which can occur under the nail plate or at the ends of the fingers or toes is called acral lentiginous melanoma. When occurring under the nail it can easily be mistaken for a fungal infection or harmless streak of pigment or dried blood however if not diagnosed early it has the same potential serious consequences as the other forms of melanoma. Any discoloration of the nail or distant parts of the fingers or toes persisting more than a few weeks should be evaluated by a dermatologist as soon as possible regardless of what the suspected cause of the pigmentation is thought to be. Risk factors for melanoma involve certain physical characteristics: blue/green eyes, blond or red hair, and a light complexion. Other factors that increase a person’s risk for developing melanoma are sun sensitivity, an occurrence of blistering sunburn(s) in childhood and adolescence, weakened immune system, personal and family history of melanoma or skin cancer, and regular exposure to UV radiation. What Are the Treatment Options in Seattle & Issaquah? The process of selecting a melanoma treatment will be decided upon after biopsy and during staging. For melanoma that is in its early growth phase and Stage I the Dermatologic Surgeon will remove the melanoma surgically taking care to remove the tumor as well as some healthy tissue around it and generally the wound will be closed with stitches afterward. For more invasive and advanced melanoma studies of the lymph glands may need to be performed prior to the removal of the melanoma surgically and may be followed by chemotherapy. 6mm (the size of a pencil eraser) when diagnosed, they can be smaller. 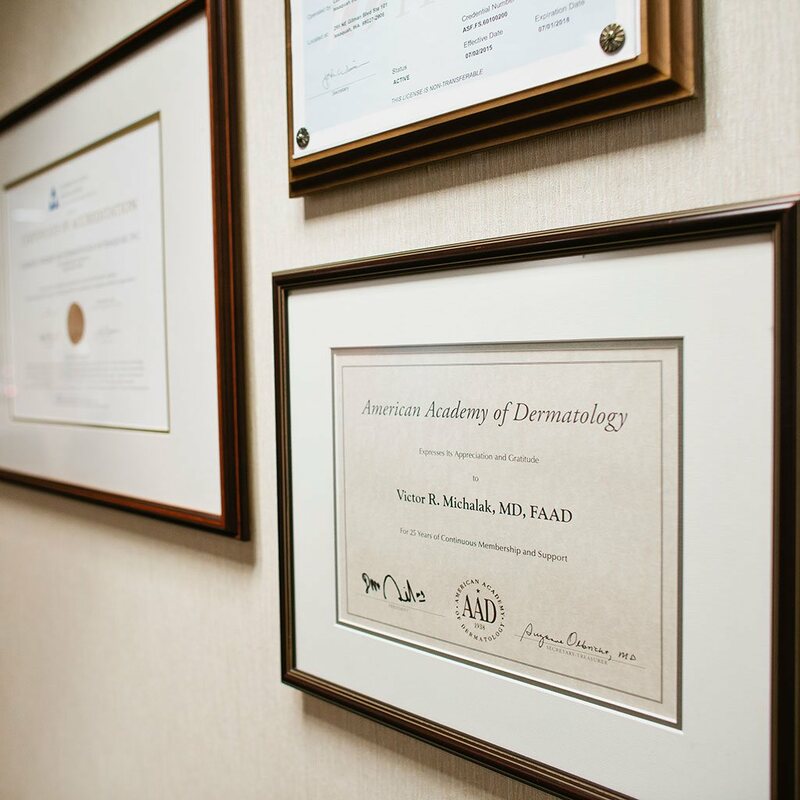 We encourage you to contact us if you would like to learn more about melanoma, options for treatment, or to set up a consultation with Seattle & Issaquah plastic surgeon Dr. Mickalak. Our office is located in Issaquah, WA, just outside of Seattle. Please dial 425-391-2500.